The best thing about craft beer – aside from taste, of course – is its connection to where it’s brewed. 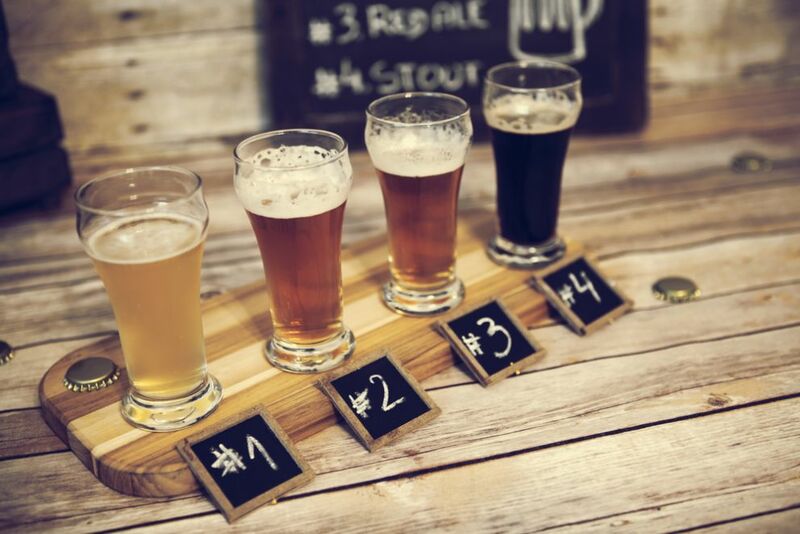 Local craft beers offer local flavor, which makes for memorable tasting notes on your trip. Long Island hasn’t missed a beat on the craft beer boom: as of 2018, Newsday estimated 44 breweries. You don’t have to go far if you’re staying with us on Long Beach to drink local: many of our watering holes offer NY beers on tap. Drop in at Shine’s Bar on 55 California St. for some darts, pool and a taste of regional brews. If you’re looking to move around and check out breweries and taprooms, plenty are located just a short ride from Long Beach (and best explored when you don’t have to drive). Check out Long Island Brewery Tours or the Long Island Brew Bus to see what works best with your travel plans. Visit this lively brewery in Oceanside for live music, food trucks, and an almost overwhelming selection of beer. Barrier Brewing always has something new and often releases collaboration blends made with other breweries. Located on the Nautical Mile, BrewSa is a friendly place to drink straight-forward brews and enjoy the open air. Choose from oversized board games and indoor and outdoor picnic tables for a guaranteed good-time. Best of all, 25 percent of the brewery’s profits go toward veterans charities. Attention to detail is what you’ll find at this small brewery in downtown Farmingdale. The quaint “nanobrewery” uses locally harvested hops, grains, and yeast strains to create very surprising beer flavors. For hard cider made from locally-grown apples and a fair selection of brews, Barnshed is your place. Try the impossibly smooth Propaganda Porter for something new. What this unassuming tasting room lacks in size it makes up in flavor. A true beer enthusiast’s treat, this is the place to go for quality dark beers and potent IPAs. Take a break from the city and join us at Allegria Hotel in Long Beach. Enjoy excellent views of the beach and access to our rooftop pool all summer long. See special rates.